Enhance your products with the world’s most advanced internet performance measurement suite. Our software helps you get ahead of your customers' requirements. Create a new revenue stream with our Partner Program, designed specifically for Manufacturers. ISPs around the world are under increasing pressure to provide regulators with real end-to-end performance data. And with governments enforcing ever stricter controls to ensure ISPs provide a minimum level of service – this trend is set to rise. ISPs are contacting us about the SamKnows Router SDK every week, to the point that it’s already installed in over 30 million routers worldwide, and counting. SamKnows Router SDK allows you to integrate our suite of measurements directly inside your CPE by pushing a simple firmware update with a global reach. Equip ISPs with the most accurate tests available. Help ISPs save money by solving more problems remotely – all while creating a brand-new revenue stream for your business. For every CPE that’s activated, you get a share of the cost. 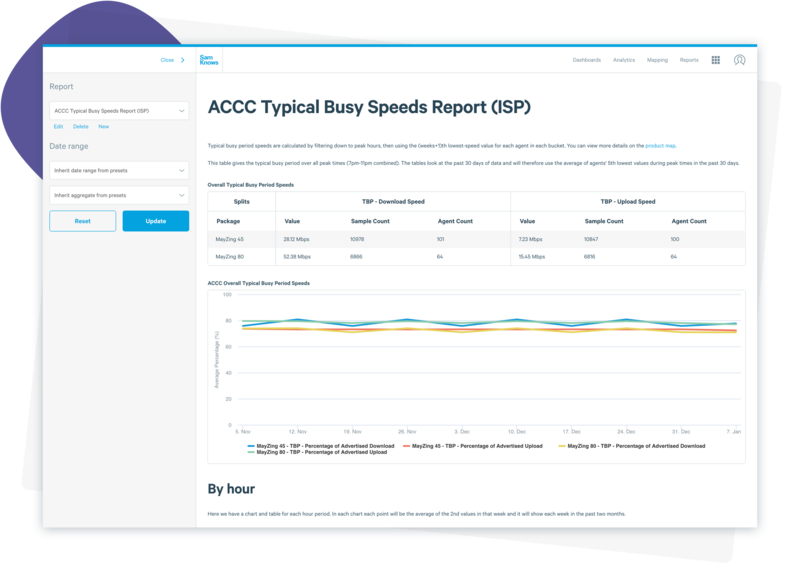 Our cloud-based analytics, visualisation, and management platform for measuring broadband and cellular performance. 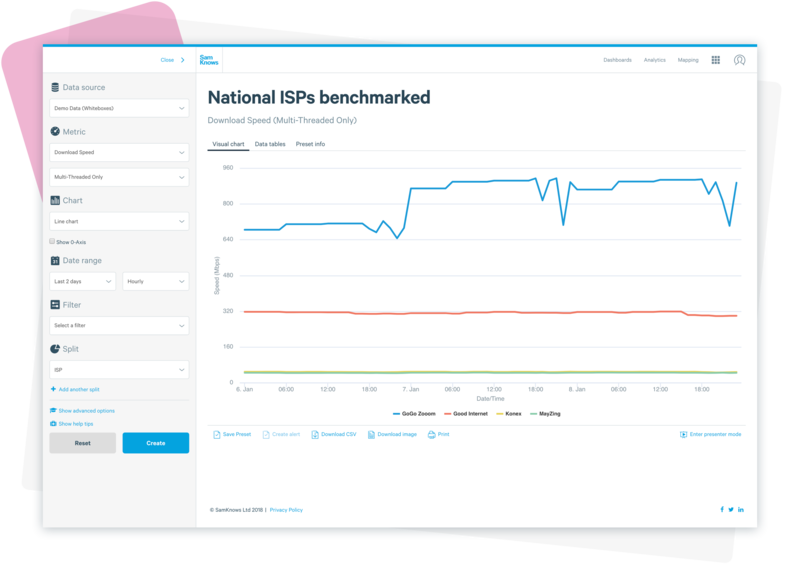 AnalyticsYour ISP customers will have access to our powerful analytics platform, tailor-made for analysing network measurements. Embed the SamKnows measurement inside your CPE, allowing for rapid rollout on a large scale. The Router SDK occupies less than 1MB of flash space on your CPE and uses CPU and RAM, running on Linux. You can also choose whether to integrate using the SDK or a container. Speak to our team to find the best solution for you. 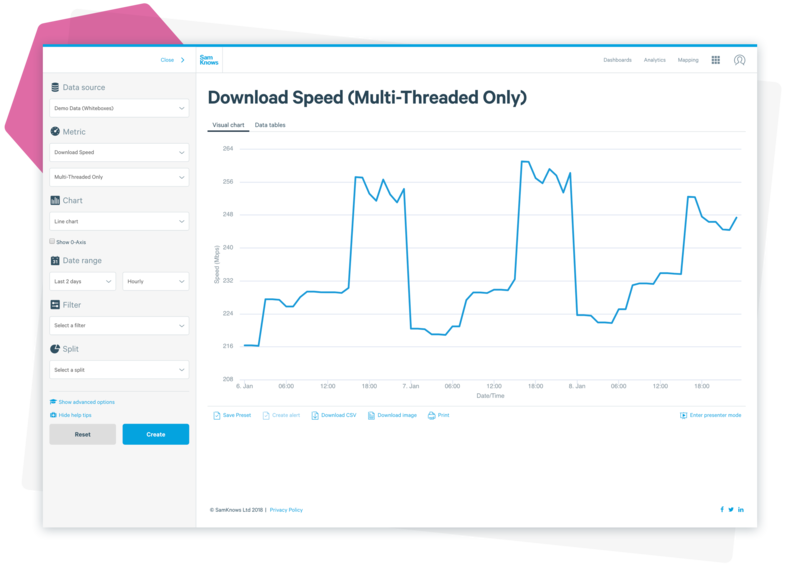 Speed testsMeasure download and upload speed over TCP or UDP, from 64kbit/s to 10Gbps.